In a separate bowl, combine the maple syrup, vanilla, applesauce, and your non-dairy substitute. Slowly mix half of the liquid into the dry ingredients, stirring continuously, and the rest ¼ amount at a time to avoid a runny batter. Mix until you get the lumps out of the batter. 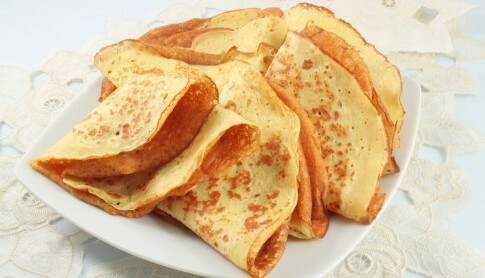 On your griddle, begin to cook the pancakes, using about ¼ amount of the batter for each one.